As far back as she can remember, Joyce has had a passion for chemistry. She earned a Master’s degree in chemical engineering from the University of Louisville's Speed Scientific School, and for 15 years worked as a process engineer in industrial scale distillation. She then spent a decade teaching high school chemistry and physics before her husband Bruce’s dream of opening a distillery reignited her passion for the distillation process—and the rest, as they say, is history. Her deep love for farm life, as well as her many years working her family’s land, have given her invaluable insight into growing the wide variety of crops used in Jeptha Creed’s products. It has also inspired the distillery’s distinct ground-to-glass maxim. In addition to being a Master Distiller and owner of Jeptha Creed, Joyce is a devoted mother of two who has a passion for all things Kentucky. She couldn’t be prouder to carry on the state’s long history of distilling the finest spirits in the world. Autumn comes by her love of distilling honestly—her mother is Jeptha Creed master distiller and co-owner Joyce Nethery. But it took a year at Heriot-Watt University in Edinburgh, Scotland, studying the craft with some of the best distillers in the world to truly ignite her passion. Now Autumn is among the youngest distillery owners in the country and an integral part of making Jeptha Creed one of Kentucky’s most groundbreaking distilleries. 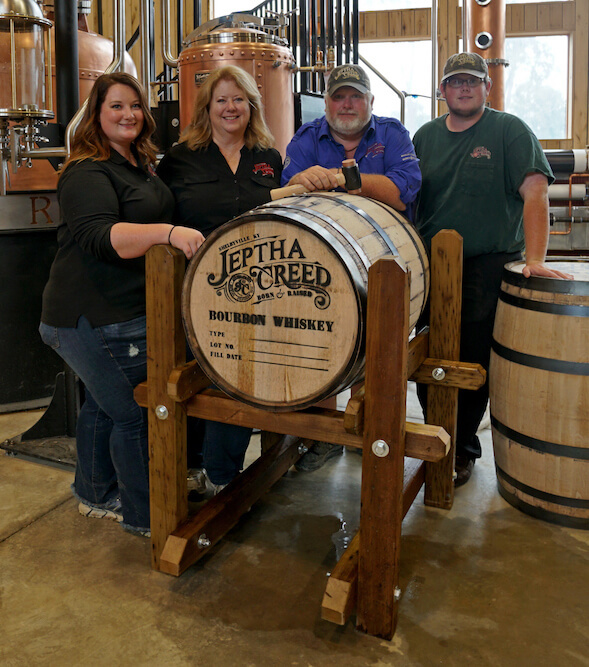 Using what she learned traveling abroad with Semester at Sea, as well as through her studies at the University of Kentucky, where she earned her Bachelor’s in marketing, Autumn’s dream is to expand Jeptha Creed’s reach into every state, while still keeping the family feel the distillery is known for. She’s wholly committed to keeping Jeptha Creed spirits as natural and authentic as possible, so customers can always trust what’s in the bottle.